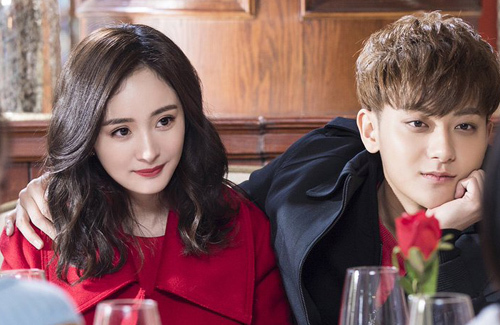 The fresh pairing of Yang Mi (楊冪) and Chinese singer Huang Zitao (黃子韜) in The Negotiator <談判官> is generating good ratings for the drama. Starring in his first television drama, Tao hopes to become an all-around artiste and opens up about his filming experience. The Negotiator is actually a spinoff of popular TV show, The Interpreter <親愛的翻譯官> which also starred Yang Mi in 2016. Taking on a role as the one of the top Negotiators in the city this time, Yang Mi’s bold and straightforward character will be a stark contrast to Tao’s role as the spoiled, arrogant heir of a wealthy corporation. This drama gains 1.5 stars in Douban (Chinese version of Rotten Tomatoes). 67.7% audience gave 1 star ratings criticizing the lousy plot and both lead’s acting. @niq8803 Douban can be unreliable, it can be manipulated since it’s user generated like imdb, the drama has been #1 in ratings nationally since it started, and over 2 billions online after only a week an a half the best ratings Hunan TV had in months and Huang Zitao’s popularity exploded due to his good acting in this drama. #1 topic on weibo and getting a lot of praise and rave reviews from viewers. The drama is entertaining an a success so far. Huang looks like he has make up around his eyes and drawn eyebrows and pink lips? I hope they put less make up on men. Makes them looks more feminine. Seems fine on ladies but somehow it doesn’t look right on men. He is relatively good looking and young so no need too much make up, I think. “The Interpreter” was bad with a stupid ending. It was popular because Huang Xuan was in it. I hope “The Negotiator” will have a better plot because its predecessor was a torture to watch but I had to watch it as my dad complained I did not spend time with him anymore. Wasn’t this the guy who recently claimed he wanted to disappear? Hope his other comment was not meant to stir publicity? @mangotango No it wasn’t, he has been shooting 4 dramas back to back and variety shows at the same time, along with CF and events, he was burnt out from the stress and exhaustion. dylan looks so much older than i remember… i still remember him from his first drama about gangsters. i never watched it but thought he was cute…but now…he’s uncle la. @m0m0 Dylan is still very handsome. They coloured his hair like Huang. Why? Even the brows are coloured. @mangotango I think he’s handsome but for some reason I feel like he’s not that popular anymore or was he ever? haha Lol..I feel like he’s always playing secondary leads who never gets the girl and looks like same here. 1) “phenomenal actress” Yang Mi?! Just finished watching a movie over the long wkend on our side. You Are My Sunshine: Yang Mi and Huang Xiaoming. Seriously, I can’t understand the hype behind the two. Sure, it was a lousy script and cliche in the first place (boy-girl dated in college, girl disappeared mysteriously, dude is deeply hurt, and kinda revengeful. But cannot resist her again). Which Taiwanese or Korean movie did not have this script? BUT credibility wise though …a good director and GREAT decent actors can make it work – and make chemistry work too. So it all makes ‘sense’ or we’re willing to park our questioning brains. Cliche or not, the viewer will buy into it, they will manage to sweep us into it. After a steady diet of solid selective Korean fare and decent acting for years (since 2001) … watching those two was just flat (Beyond eye candy. And Huang Xiaoming is not super devastating eye-candy either, despite all the hype about him). yang mi looks more like an older sister than lover…. is she suppose to be older than him in the drama? I didn’t goggle on how old is idol male lead is but Yang Ming is heading into her 30’s or already in her early 30 so if he’s an idol star, he must be still young and woman will always be a bit matured looking for sure. In Korea, all series are like a trend I feel older woman/younger man. It’s just HK that didn’t get into the action? haha Always older men/younger women. no i concur. i think it’s unfair to always see older man and younger woman. it plays w/ your mind and makes u think that’s the right thing but really NOT. i was just wondering, it’s completely cool. i was just wondering if yang mi was turning into another ruby lin – playing roles significantly younger but don’t look that way. z.tao is indeed very young.